It would look even better next to a bowl of melted butter. Crabs are some of the most delectable creatures the ocean has to offer. 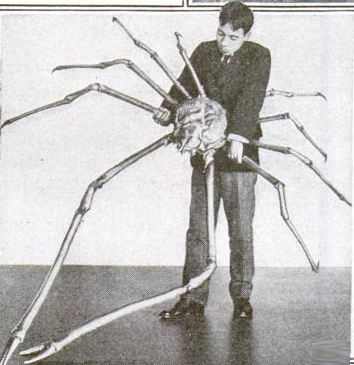 And just in time to ruin your day, we bring you the Japanese Spider Crab – the creepiest and largest of edible crustacean treats. These behemoth crabs feed on shellfish and animal carcasses on the sea floor in deep waters near Japan. They are considered a culinary delicacy. Mmm…detritus never tasted so good. Holy crab! Look at those meaty legs! 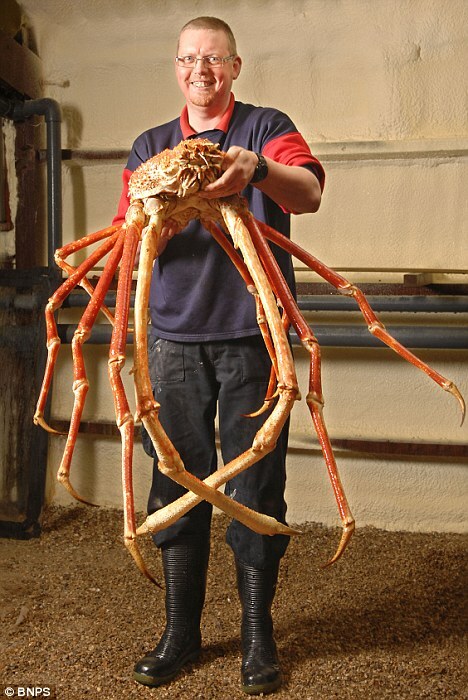 Stop killing the spider crab you poacher!don’t you know it is endangered? !